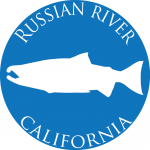 The Russian River drains 1,485 square miles, including much of Sonoma and Mendocino Counties, and is home to endangered coho and threatened Chinook salmon and steelhead trout. In fact, the river’s once vibrant coho and steelhead runs earned it a reputation as a premiere recreational fishing destination. But by 2000, coho salmon were virtually extinct from the river and the remaining habitats are badly degraded. Heavy demand for and competing uses of the river’s water adds to the stress on fish. As a valuable resource for Sonoma and Mendocino County agriculture and viticulture, as well as domestic water supply, water extraction from the river and tributaries can leave fish stranded during periods of critical demand in the spring, summer, and early fall. Russian River Valley communities are also impacted by frequent flooding. Steep hills and numerous canyons make accurate rainfall predictions and flood forecasts difficult. NOAA’s expertise in flood and weather forecasting, integrated monitoring, habitat protection and restoration, stakeholder education, and coastal and ocean planning and management will be critical to addressing these issues. In October of 2017, parts of Sonoma County were devastated by a series of wildfires. NOAA is working with local partners to identify next steps for the Russian River Habitat Focus Area as the area recovers from this natural disaster. Multiple offices within NOAA join an already active community of partners working on these issues in the Russian River watershed. 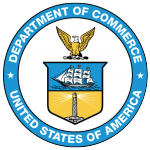 NOAA’s National Ocean Service, NOAA Fisheries, NOAA Research, and the National Weather Service have begun numerous projects that are expected to yield measurable results in three to five years. 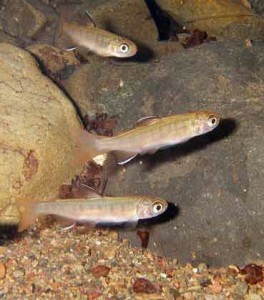 Three restoration projects already underway are opening coho salmon breeding grounds, improving habitat to reduce flooding and recover fish populations, and incorporating water conservation measures for local landowners by installing off-stream storage, providing enough streamflow for the summer survival of endangered fish species.